What Is a Fiscal Week? A business may change its financial year or week in order to accommodate employees, financial transactions, or other considerations. When deciding to change a fiscal year, a business can change the day taxes are due with the Internal Revenue Service as well as change when certain payments are due such as payroll. Having a separate calendar year and fiscal year provides several benefits to a business. A fiscal year is a financial year different than a calendar year. An individual has a financial year of January 1st to December 31st. During this year, all income and expenses are reported on the year-end individual tax statement sent in to the Internal Revenue Service on April 15th. A business may change the financial year for any number of reasons. The calendar year must be used unless you get approval from the IRS, which businesses can obtain by filing Form 1128, Application to Adopt, Change, or Retain a Tax Year. A fiscal week is like a fiscal year. It is a week in which the first day of the week is different than a calendar week. A calendar week typically starts on Sunday and at times Monday. However, a fiscal week can start on any day. It defines the accounting period of the week for a business. 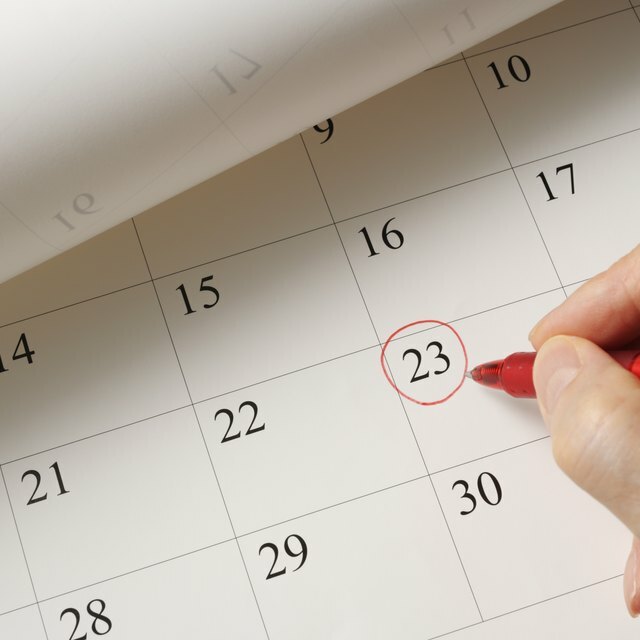 A fiscal week can start on a different day if it benefits the company. Sometimes a business has a large amount of overhead associated with timekeeping and payroll. If employees are prone to taking Friday or Monday off for vacations or holidays, then having a fiscal week that ends in the middle of the week will ensure enough employees are around to complete financial activities in case there are a number of holidays that fall on Friday. The end of the fiscal week is typically the day that payroll is processed and paid to employees. When Are Form 941 Tax Deposits Due? Changing a fiscal year or a fiscal week could depend on outside factors. For instance, government contractors might benefit from changing a fiscal year to coincide with the government's fiscal year. The government has a fiscal year from October 1st to September 30th. When a new fiscal year starts, more money is available for government contracts, thus an influx in cash for government contractors occurs. The same considerations may be made for a fiscal week. A restaurant may make more money on weekends, or a retailer may gain more revenue on weekends because of an influx of cash and time for customers. It may make sense to structure your fiscal week around these considerations in order to time an influx in cash with large weekly bills due such as payroll.